Title Loans in Mesa AZ 10 - W. Guadalupe Rd. The W. Guadalupe Rd. 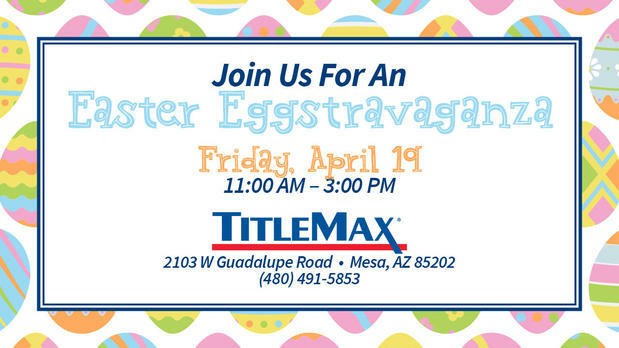 TitleMax store provides residents of the Mesa area with title loans and personal loans. We are located on Guadalupe just West of Dobson Road, next to Auto Zone in the Goodwill Shopping Center. If you live in or around the greater Mesa area and are in need of some fast cash, stop by the W. Guadalupe Rd. TitleMax store or call us today at (480) 491-5853 to get approved for a title loan or personal loan fast.